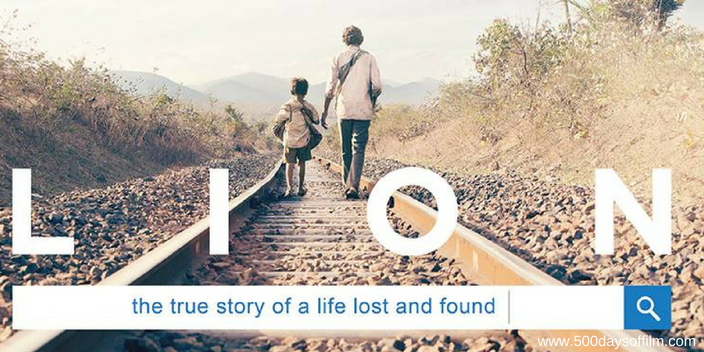 When five-year-old Saroo (Sunny Pawar) gets lost on a train, he finds himself travelling thousands of miles across India away from his home and family. His journey ends in a chaotic Kolkata where, after living on the streets, he is placed in an orphanage. Eventually adopted by Australian couple John and Sue Brierley (David Wenham and Nicole Kidman), Saroo suppresses his past and makes a home in Hobart, Tasmania. However, a taste of a sweet Indian dessert ignites a desire to find his mother, his brother and his home in India. There are few things more terrifying than the idea of a small child lost. Whether you know the outcome of Lion's true story or not, the sight of a decommissioned train carrying tiny, yet plucky, Saroo further and further from his family is heartbreaking to watch. Thanks to an incredible performance from Sunny Panwar, we are immediately invested in Saroo’s story. His (largely speechless) portrayal conveys Saroo’s vulnerability and determination. His eyes show us his pain, his style of running reveals remarkable inner strength. As a result, the first half of Garth Davis’ wonderful film is infused with tension and dread that even adoption and the prospect of a new life in Tasmania cannot diminish. Dev Patel has a tough act to follow as the older Saroo. How could he hope to compete with Panwar’s stunning turn? In addition, he has the unenviable task of making Google Earth searches compelling and cinematic. Patel is more than up to the task. His is a superb and powerful performance. We feel the weight of his struggle, particularly as his search intensifies. For as much as Saroo is desperate to find his family in India, he doesn’t want to cause his adoptive family (Nicole Kidman is brilliant in her role) pain or destroy his relationship with girlfriend, Lucy (nicely portrayed by a rather underutilized Rooney Mara). Patel keeps us engaged despite some second act pacing issues. He manages to make Saroo's online search feel suspenseful and, yes, cinematic. Meanwhile, Greig Fraser's stunning cinematography provides an effective counterbalance to the Google Earth images. Davies’ focus tightens in his film’s emotional final act. Lion’s final scenes are powerful and deeply moving - the perfect end to a remarkable story. Lion is Garth Davis’ feature film debut and is based on Saroo Brierley’s book, A Long Way Home. The Indian dessert that ignites Saroo's desire to find his family is called a Jalebi, a dough that has been fried in a coil shape and then dipped in sugar syrup. I recently wrote a review of the impressive performances by child actors in 2016 (The Kids Are Alright). If Sunny Panwar’s portrayal of Saroo is anything to go by, 2017 is set to be another stellar year for youngsters.